Concept for holiday card. Responsibilities for this project: create an innovative way to wish our clients happy holidays. 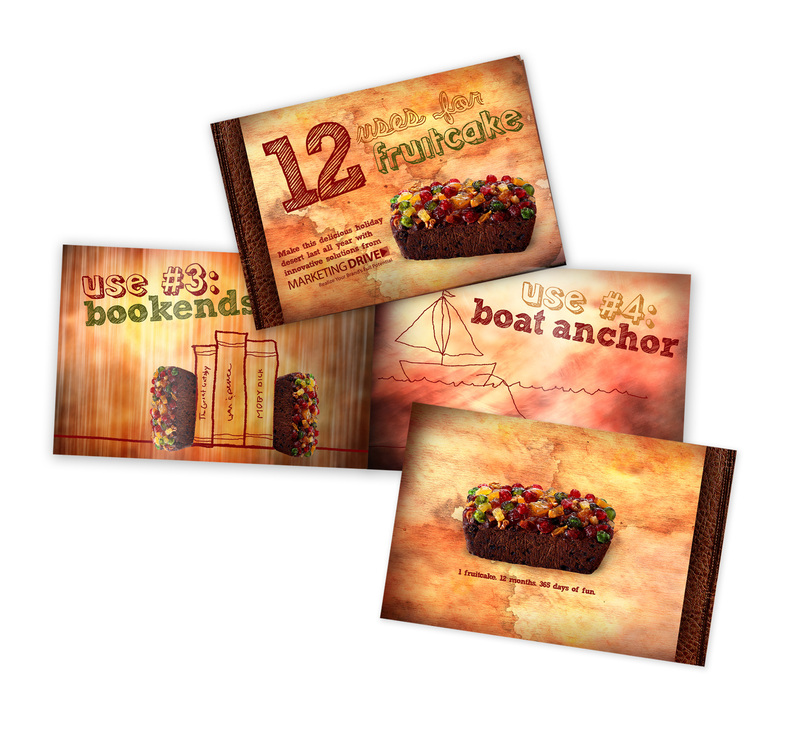 Concept includes website for more ideas and inflatable fruitcake. Illustrator/Photoshop. 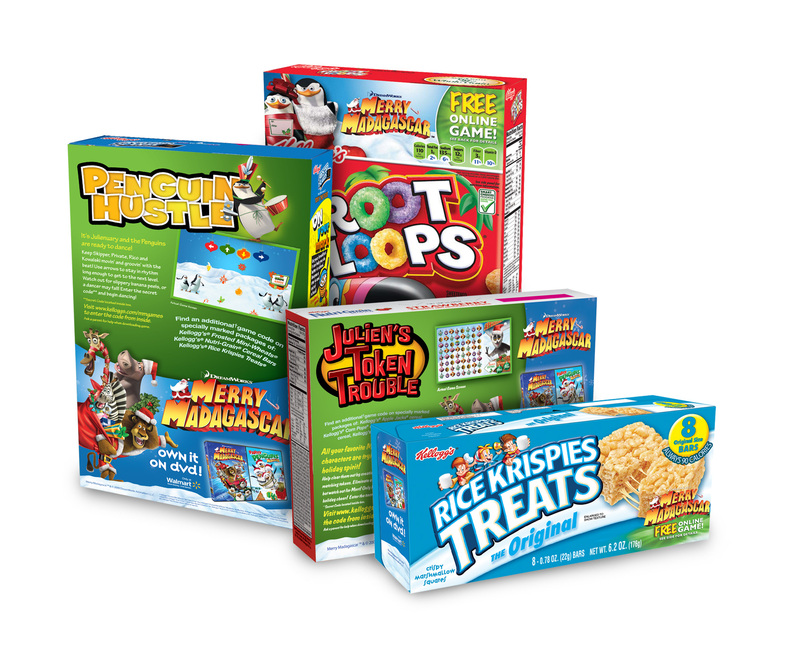 Packaging and game logo designs for Kellogg’s and Merry Madagascar. Responsibilities for this project: incorporate Merry Madagascar style guide into packaging. Illustrator/Photoshop. 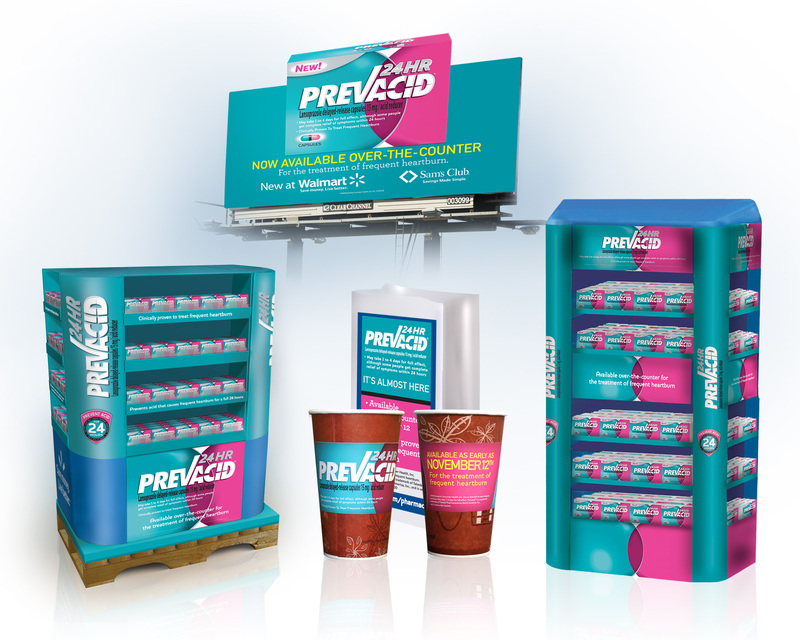 Prevacid 24HR Launch Responsibilities for this project: apply branding and style guide elements across various in-store displays, outdoor advertising and other marketing elements. Illustrator/Photoshop. 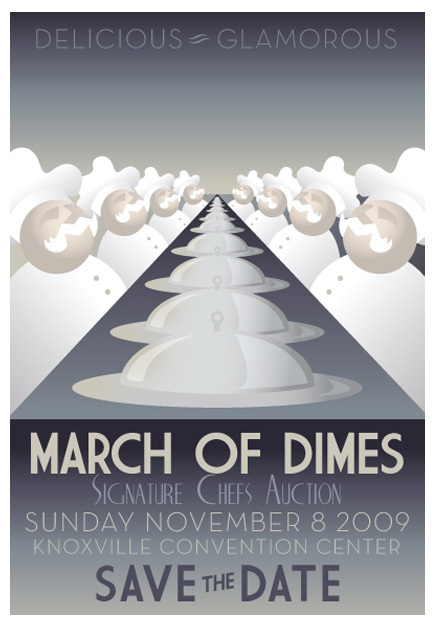 Concept poster for March of Dimes. Responsibilities for this project: create a new look for March of Dimes event using the theme of Art Deco. Brainstorming and drafts. Illustrator. 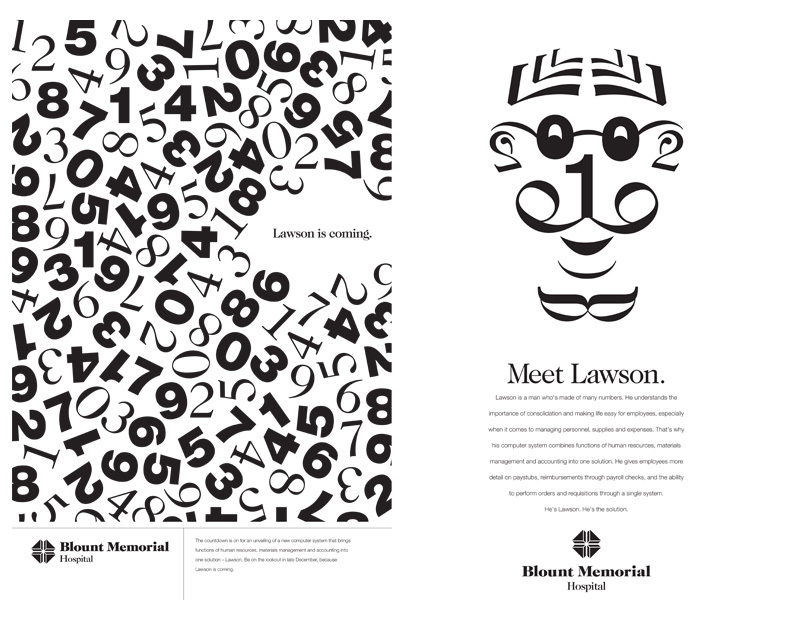 Series of posters for Blount Memorial campaign. Responsibilities for this project: using existing brand elements, create a teaser and poster to create anticipation for new program being implemented in the hospital. Brainstorming, drafts, final concept and printing. Illustrator. 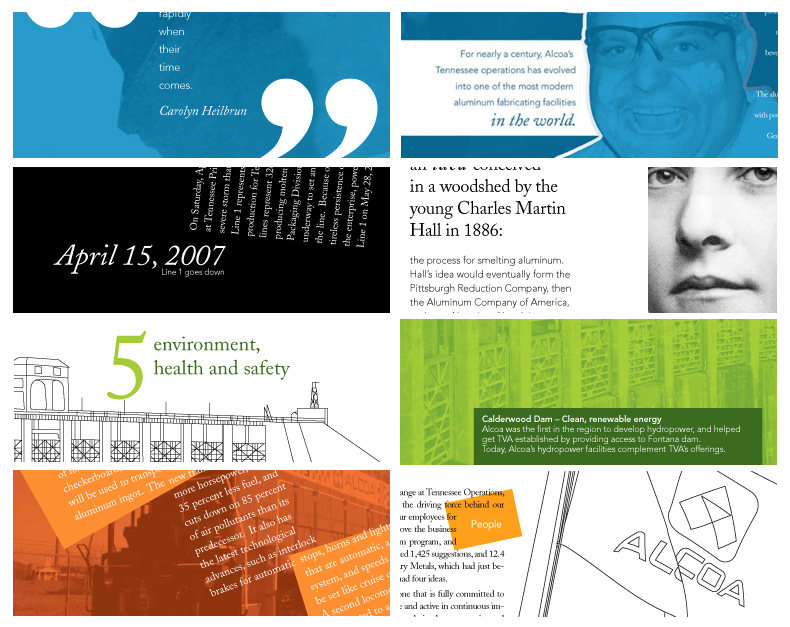 Spreads for Alcoa’s 2007 Annual Report to the Community. Responsibilities for this project: come up with an innovative way to convey the information, brainstorming through conception and printing. Design Credits: John Fischbach, Art Director. Illustrator/InDesign. 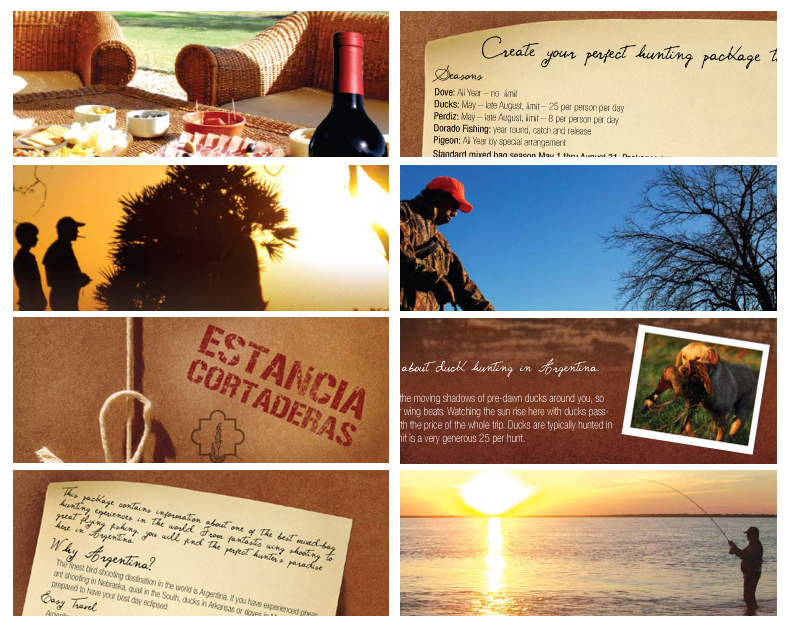 Square brochure for Estancia Cortaderas. Responsibilities for these projects: create an effecctive, stunning brochure for a South American lodge that captured the target audience. Photoshop/InDesign. Foothills Fall Festival 2008 collateral. 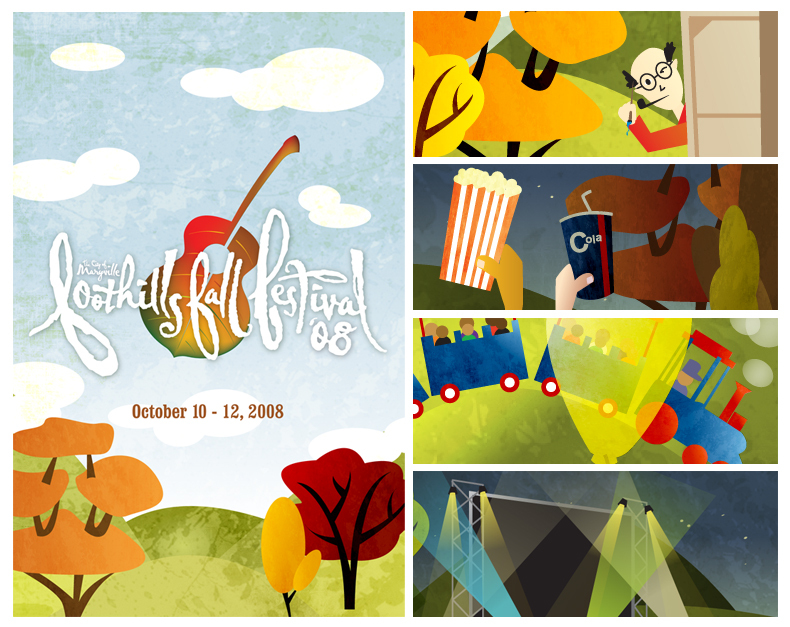 Responsibilities for this project: update existing elements of festival for the 2008 event, including tickets, ads, posters, illustrations and a brand new website. Logo created by John Fischbach. Illustrator. 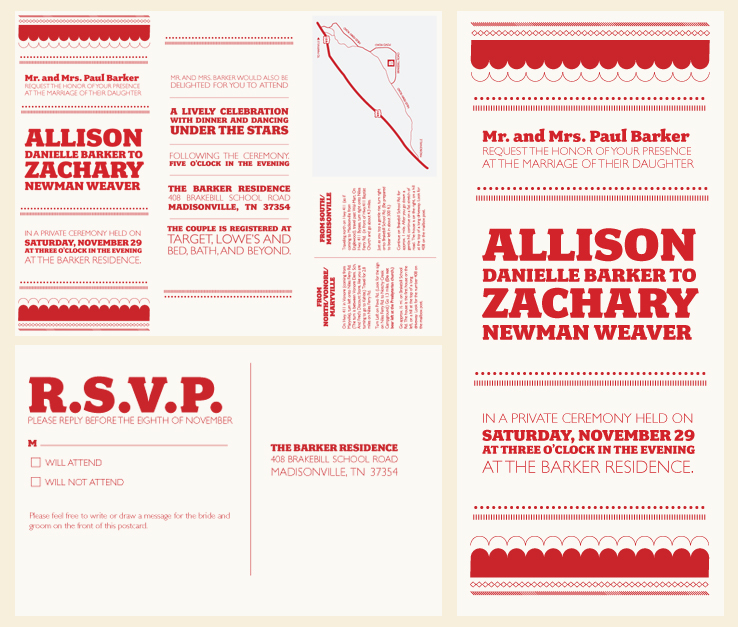 Barker/Weaver wedding invitation. Responsibilities for this project: creation of wedding invitation package, including save-the-date, rsvp card, invite and directions. Client requested a country theme with a modern twist. Illustrator. Senior Thesis Show. Responsibilities for this project: brainstorming and completing a senior thesis on a topic of my choice. 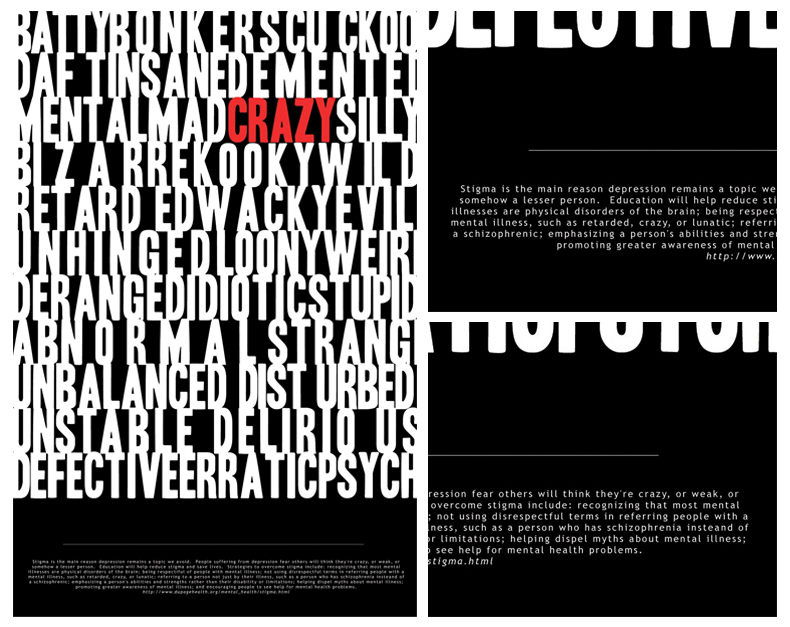 Theme was manic depression and society and included seven 24×36″ posters. Illustrator/Photoshop. I consider myself to be a photojournalist. I strive to capture the extraordinary and wonderful moments in everyday life. All photos are shot with a Nikon D50. A Day at the Zoo. 2007. A Day at Cades Cove. 2006. I am still learning a lot about web design, but am loving it nonetheless. I know the basics of putting a site together visually and am currently studying code. 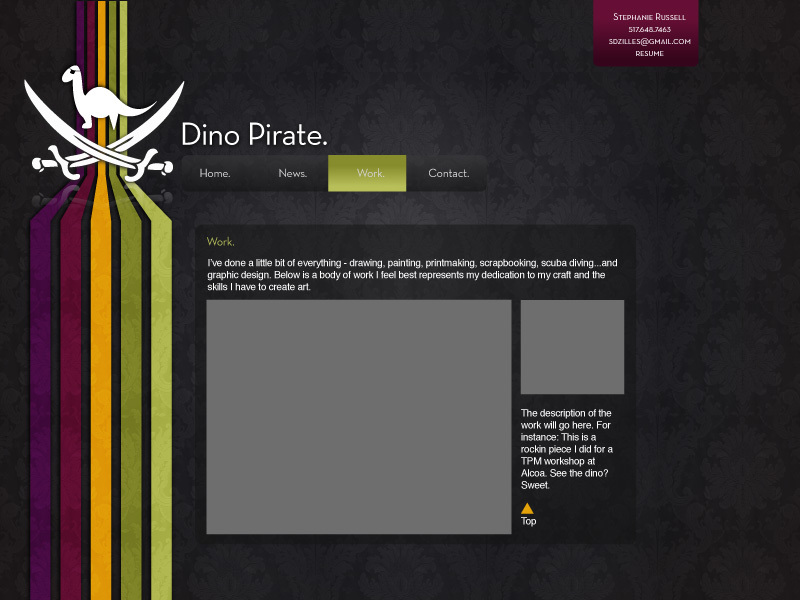 Concept for company website. 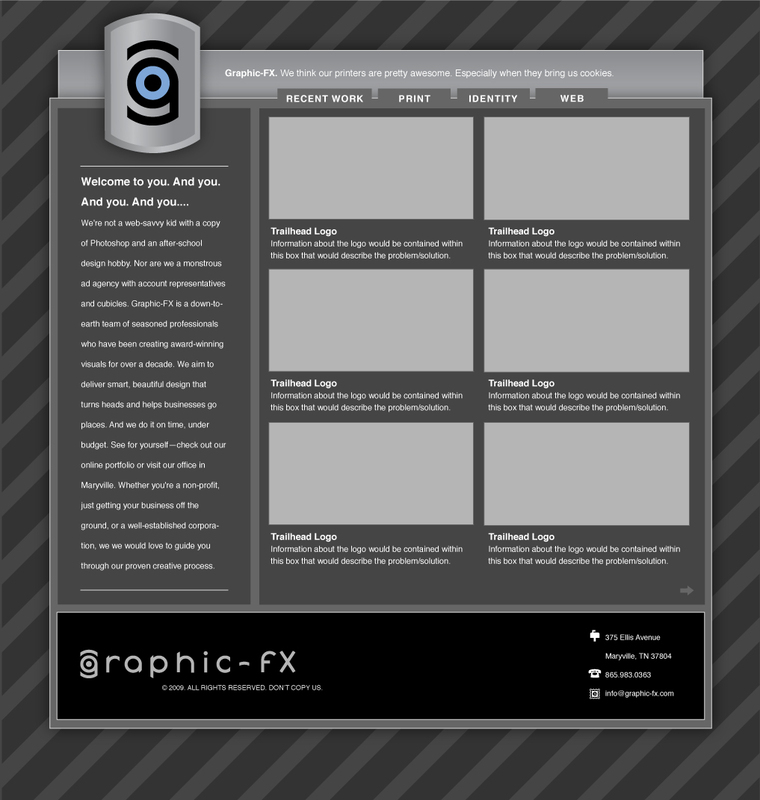 Responsibilities for this project: create a dynamic layout for Graphic-FX where the work will stand out from everything else and content can be switched out and added regularly. Concept for personal website. Responsibilities for this project: create a basic layout for my own portfolio, utilizing my love for bold color, patterns and typography. 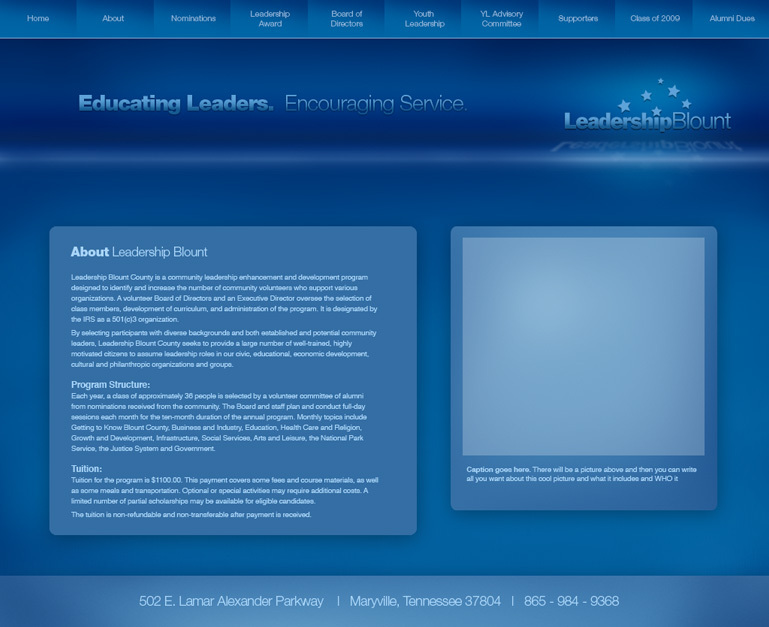 Concept for Leadership Blount website. Responsibilities for this project: update existing website with a fresh look, keeping in mind brand elements including logo and typography.